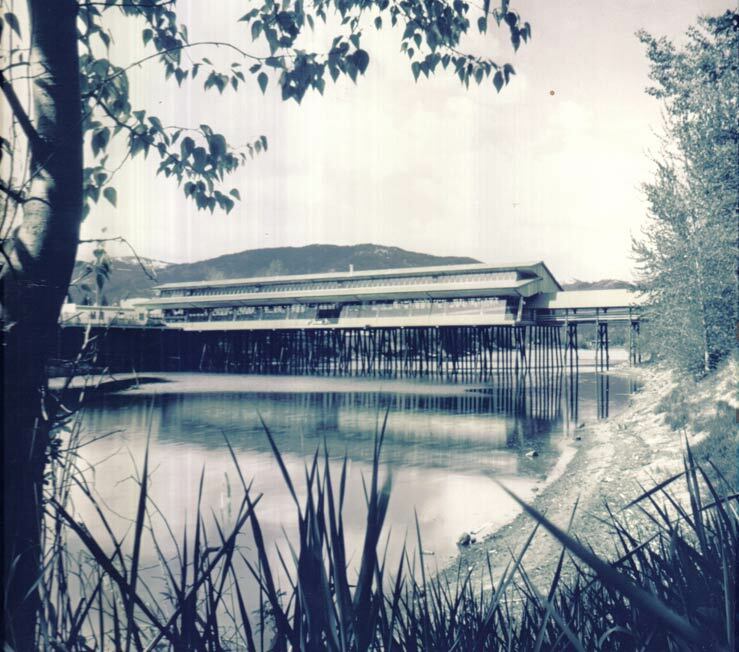 Spanning 400 feet across Sand Creek in downtown Sandpoint, the Cedar Street Bridge Public Market is heralded as the only marketplace on a bridge in the United States. It’s often been called Sandpoint’s answer to that other famous bridge market, the famed Ponte Vecchio in Florence, Italy. It began life somewhat more humbly. 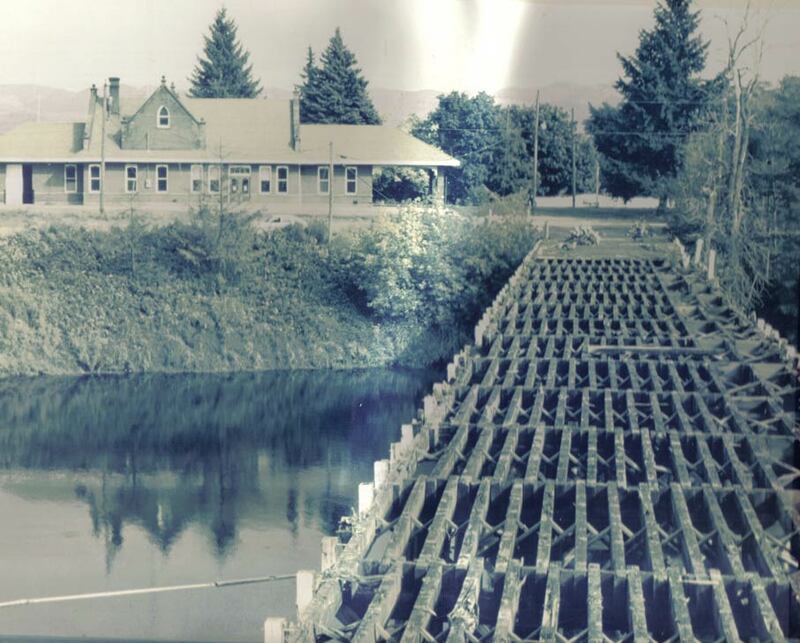 Built prior to the 1930s as an auto and pedestrian bridge, the original Cedar Street Bridge was designed to carry traffic from the downtown core to the town’s train depot on the east bank of Sand Creek. The bridge’s location adjacent to the town’s core and on the doorstep of the depot put it in the middle of community life. 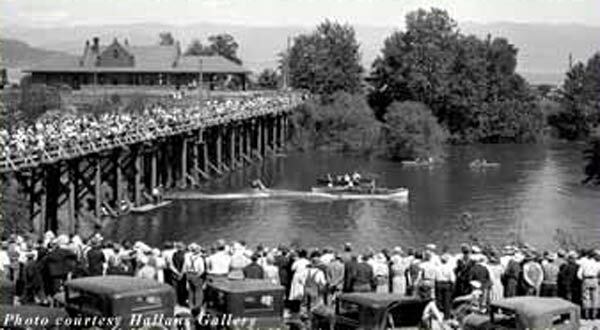 The vintage photo at right, by town photographer Ross Hall, shows a crowd gathered for the 1933 Sandpoint Fourth of July celebration to watch champion water skier Harriet Green display her prowess in the then-novel sport, towed behind Fred Kennedy’s speedboat. But as train travel declined in the following decades, and traffic to the depot waned, the bridge became less integral to the town’s transportation needs. Late-1970s – The bridge falls into disuse and is blocked off to both pedestrian and motor traffic due to structural damage and gaping holes in its surface. 1981-83 – As city officials debate whether to tear down the derelict bridge, Scott Glickenhaus, a local entrepreneur and world traveler, sees an opportunity to create a unique public gathering place. 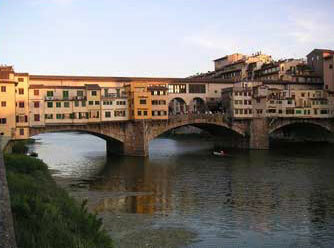 His idea, inspired by the Ponte Vecchio, is to create a marketplace-on-a-bridge with a distinctive Northwest flair. After some dispute about the lease agreement for use of the derelict bridge, Glickenhaus begins construction of a new public market. Designed by award-winning architect Jonathan Stoumen, the bridge features a unique passive solar design. 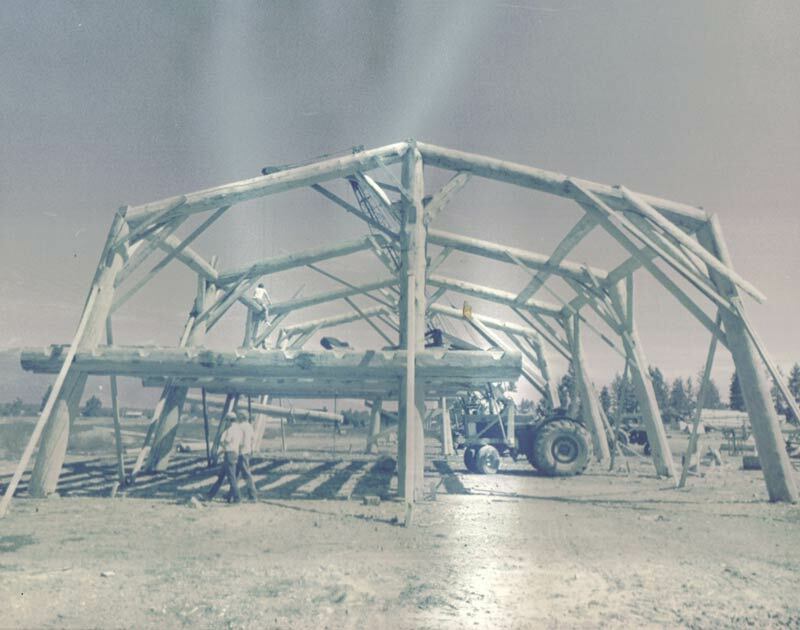 Multiple support pilings are driven into Sand Creek and, once the bridge platform is completed, the structure itself is built from massive tamarack timbers selectively harvested in Idaho and Montana, crafted off-site and lifted into place by large cranes. 1983 – The Cedar Street Bridge opens with an assortment of cart vendors, an “artisan’s corner” featuring a potter, kite maker and specialty seamstress, as well as book stores, jewelers and boutiques. 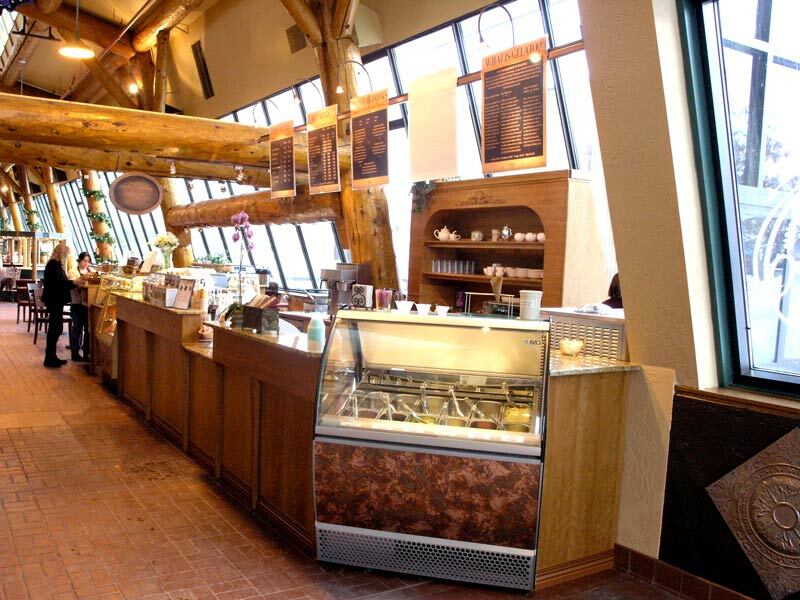 Live music was provided by street musicians and dining was available at The Henry Villard restaurant on the upper level or a full-service delicatessen on the street level. Mid-1980s – The number of cart vendors declines and some shops become vacant as the Sandpoint economy falls on hard times. 1988 – At that time still a small mail order retailer, local company Coldwater Creek leases a small space – its first official retail presence in the country – for a street-level shop near the entrance to the bridge. The shop sells mostly Native American-themed gift items, art prints and jewelry. 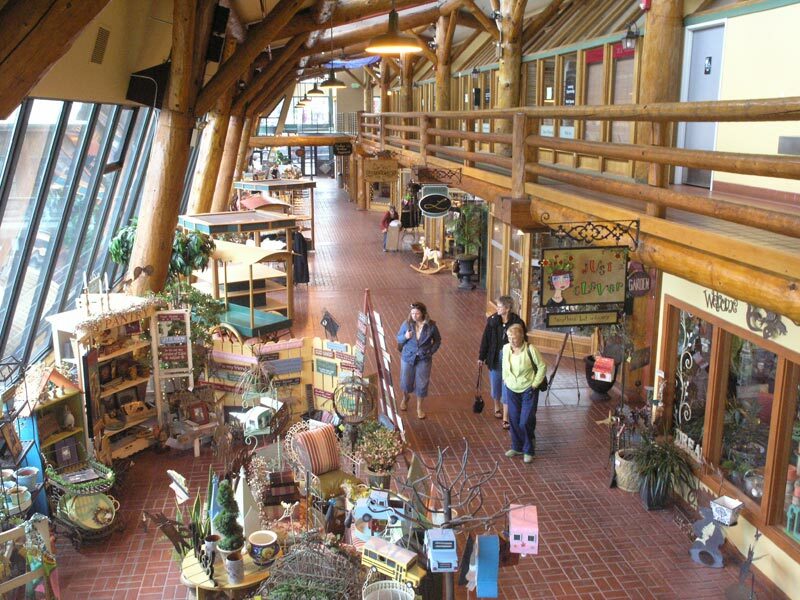 Early 1990s – Although Coldwater Creek takes on additional retail space, several spaces in the bridge are left vacant or convert from retail to professional offices. 1995 – Reflecting its growth, Coldwater Creek leases the entire bridge – approximately 16,000 square feet – to house distinct shops for its growing number of catalog titles which, at the time, include two women’s apparel assortments, a men’s clothing line, a store devoted to eco-friendly games, toys and gifts and, later, a small home goods line. 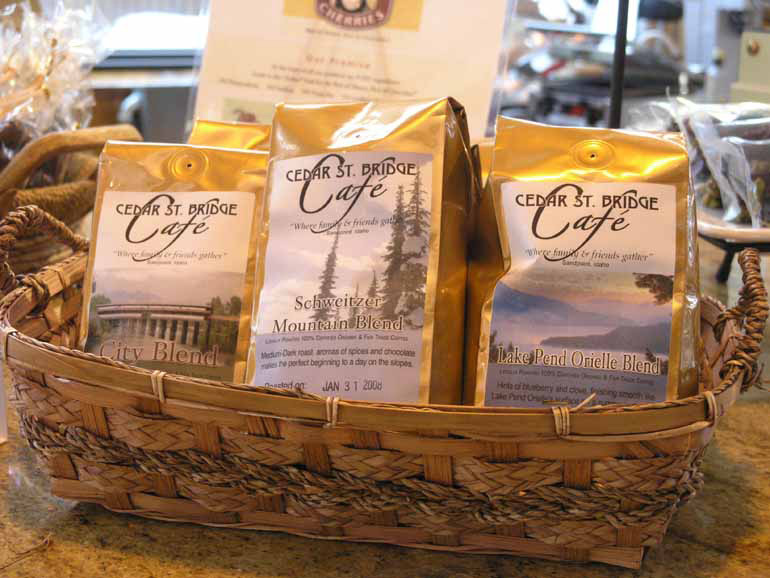 2005 – After a decade as the sole tenant on the bridge, Coldwater Creek announces plans to build a smaller, 10,000-square-foot retail in the former Bernd Building, less than a block away on First Avenue. 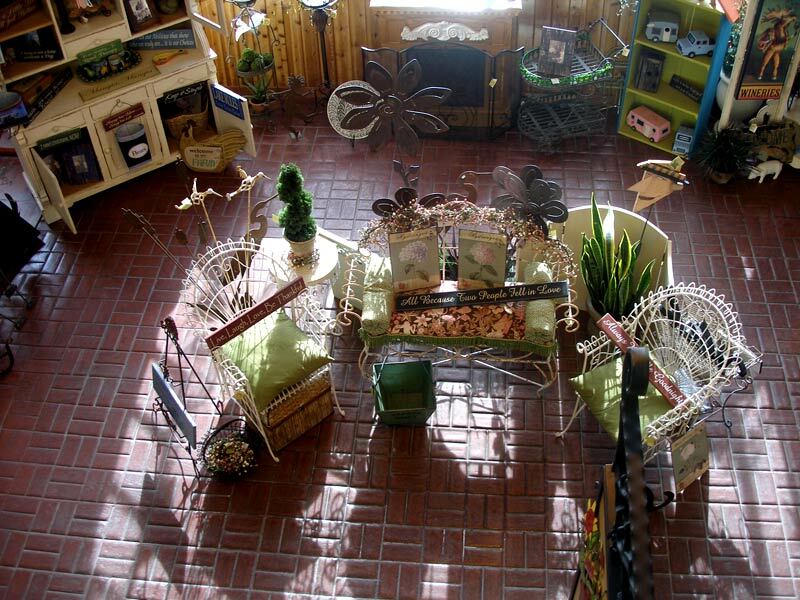 The company had increased its retail store presence across the U.S. and decreased the number of catalog titles. 2006 – The Cedar Street Bridge is vacated in the spring, leaving its future uncertain. Tomlinson Sandpoint Sotheby’s International Realty lists the property, but finds it challenging to locate a buyer for such a unique real estate offering. Jeff Bond, owner-broker for the Tomlinson Sandpoint office, and John Gillham purchase the bridge under a partnership called Clear Visions. 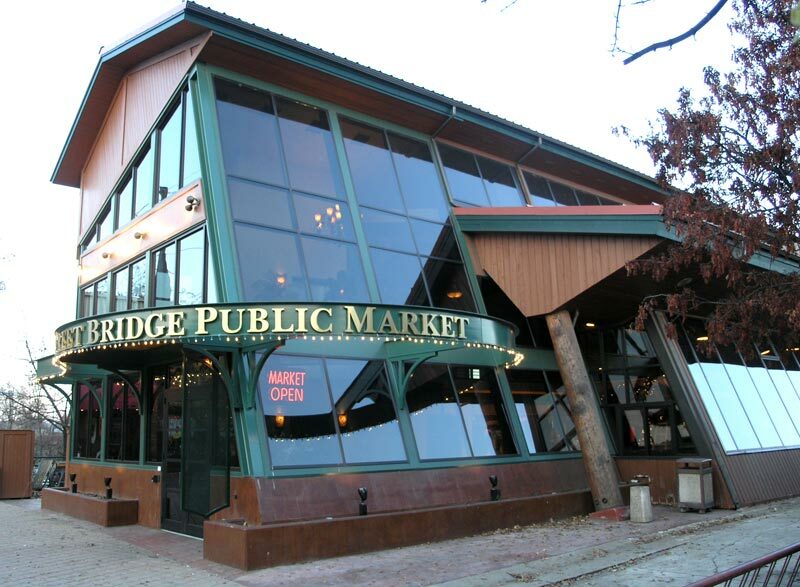 2007 – After $1.25 million in renovations and repairs, the Cedar Street Bridge Public Market reopens in time for the summer tourism season, once again featuring cart vendors, restaurants, gift shops, jewelers and boutiques.